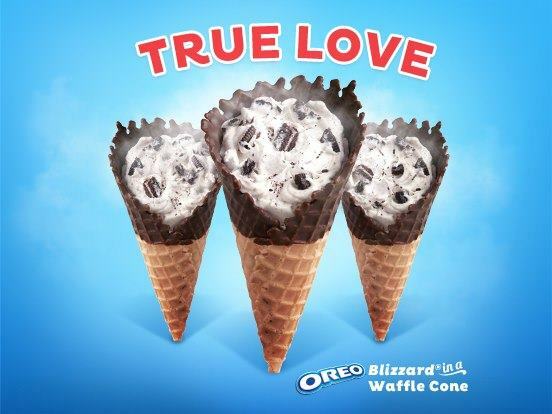 You know that Dairy Queen blizzard in a waffle cone? It’s on commercial when your trying to watch TV and everywhere in the ads when your browsing on the interweb. Anyways, everyone over here has been talking about it so I thought it was time I went and try this new waffle cone. I go to Dairy Queen, waiting for them to make it. I start daydreaming about this tiny piece of heaven. My dream consisted of this. I was so confused. I mean the tiny part I was correct, but this didn’t really look like a piece of heaven. I thought it would be waaaaay bigger. And the ice cream looks like you can get it from McDonalds. The waffle cone is supposed to be wider so that the ice cream can actually fit in it. And at least put the chunks of Oreo in it. This looks nothing like the ads picture of it. 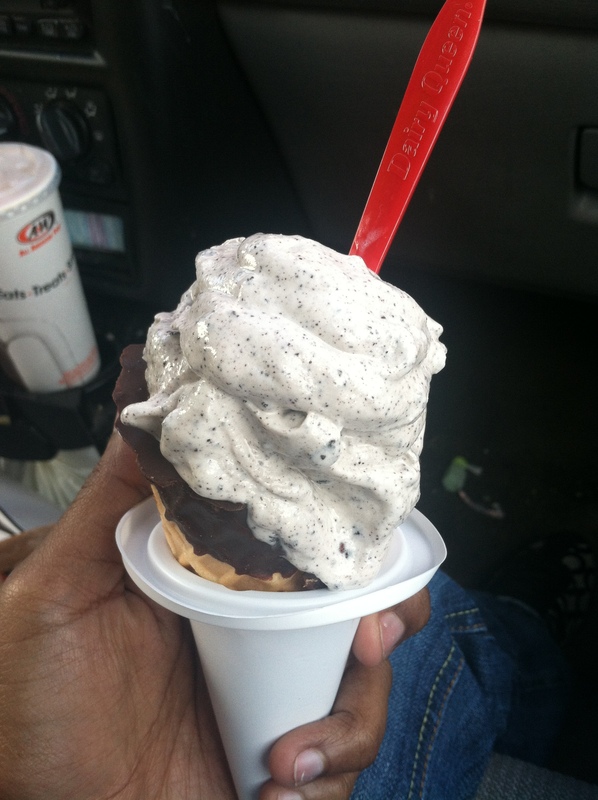 But I have to give them props for at least making the ice cream taste like Chick-fil-a’s milkshakes. And to be honest, I don’t even like waffle cones. So from now on I’m going to stick to the Oreo blizzard, which is what I normally get.